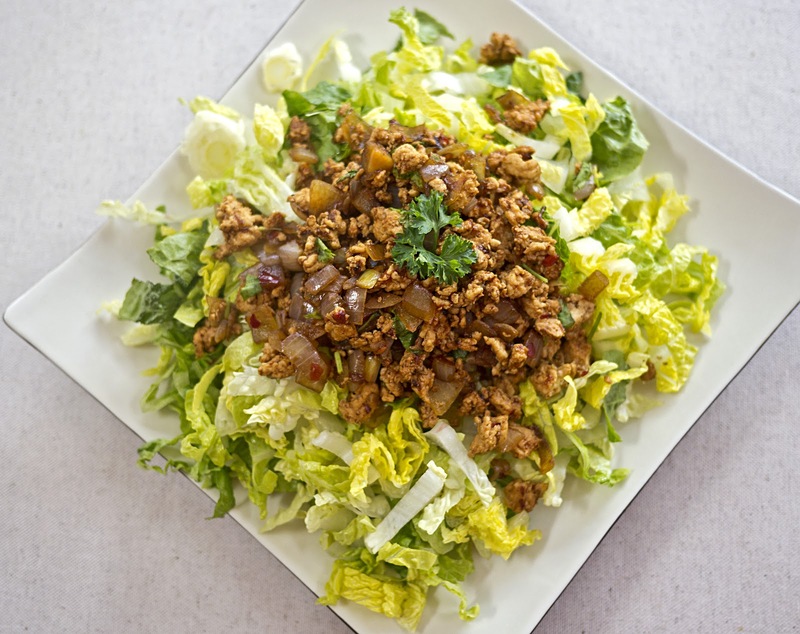 Also spelt lapr ot larb, the national dish of Laos has as many variations of the recipe as there are of stews in the UK. 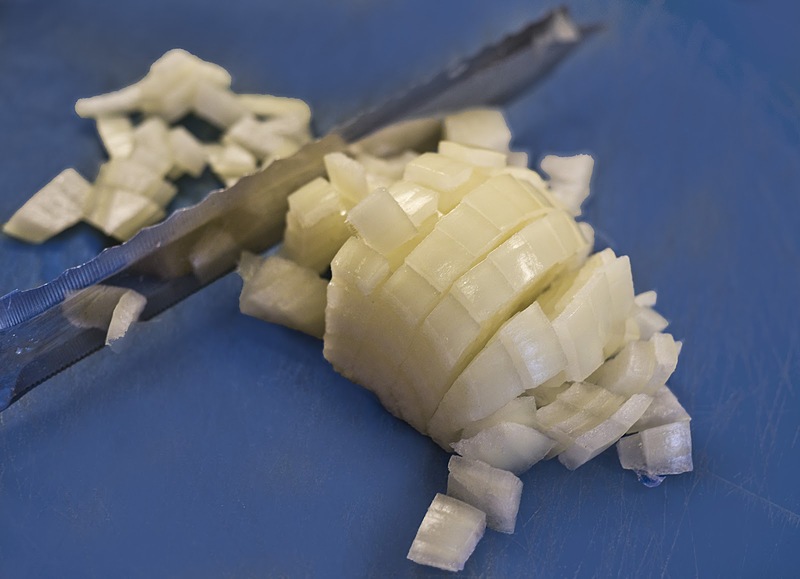 Every chef has their favourite, and this is mine. 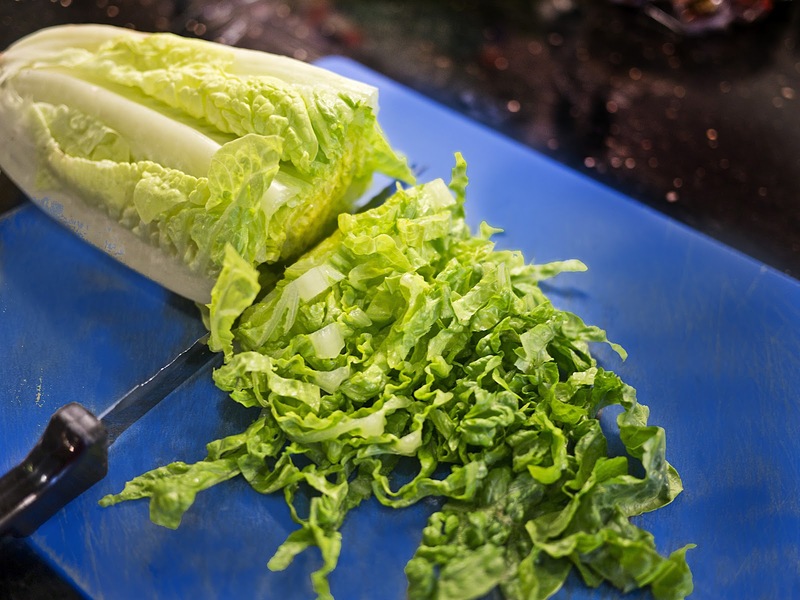 I really like the combination of sweet, sour, hot and salty, and love the fresh taste of the crunchy lettuce. 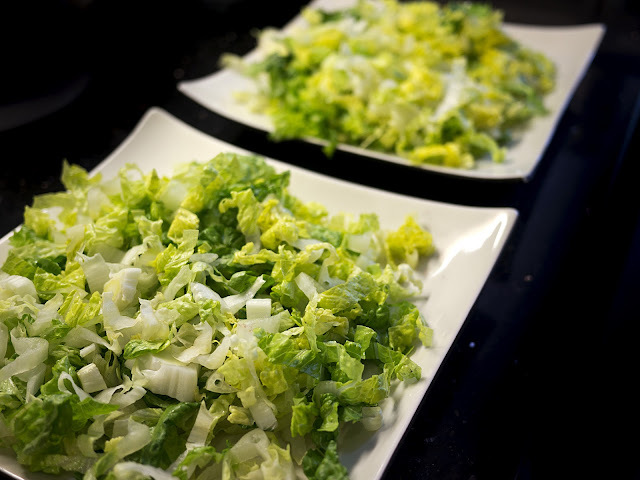 You can of course use lettuce of your choice, but a crunchy one is best. 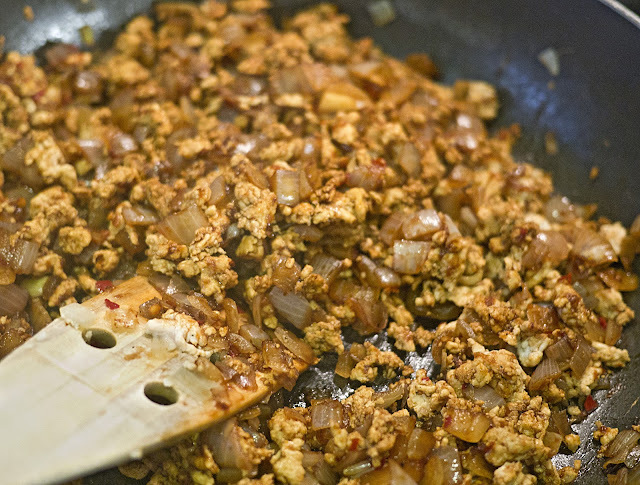 Laap can be made with turkey, beef, pork chicken or even fish, but for this one I have chosen to use turkey. 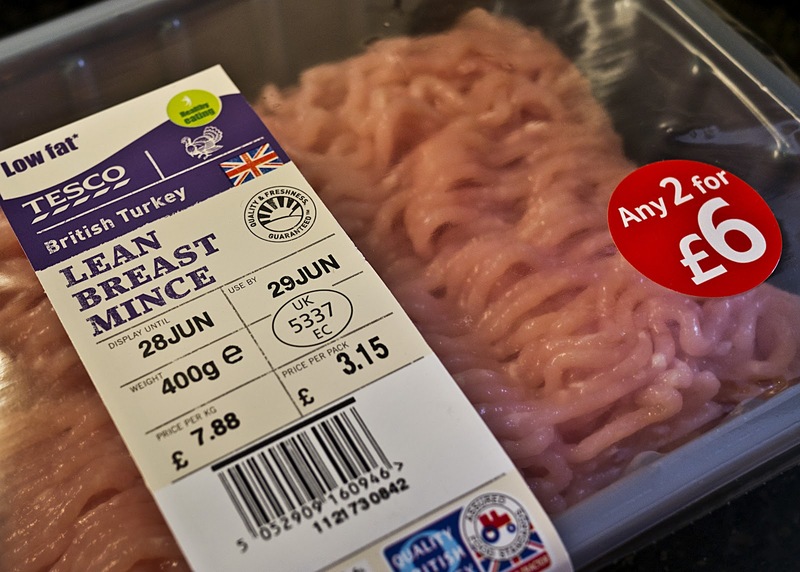 Be careful when you chose turkey mince though, as it isn't always easy to spot the difference between breast and leg mince, the latter being much higher in fat content. 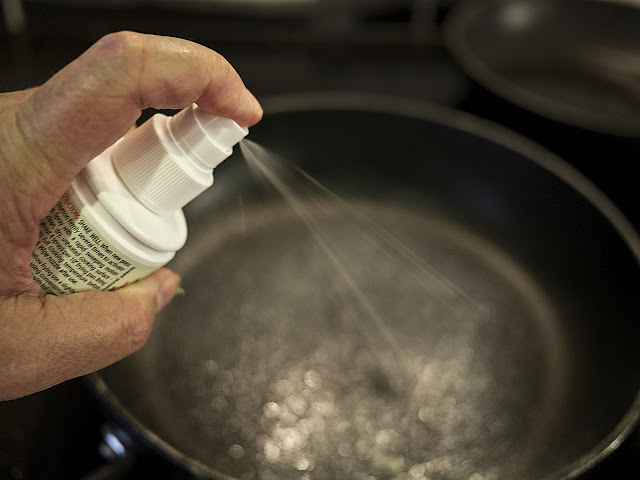 Spray a frying pan with Fry Light. 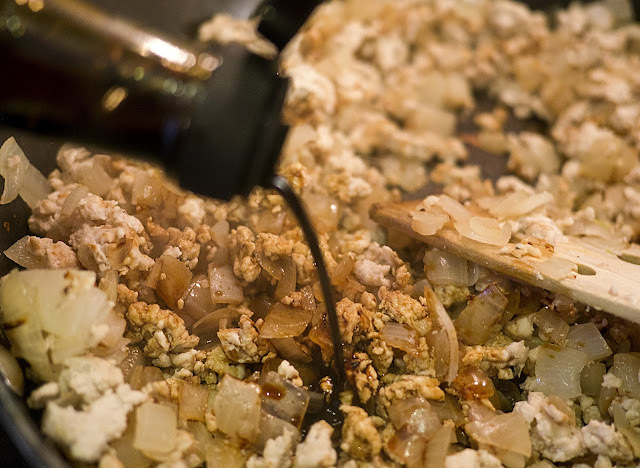 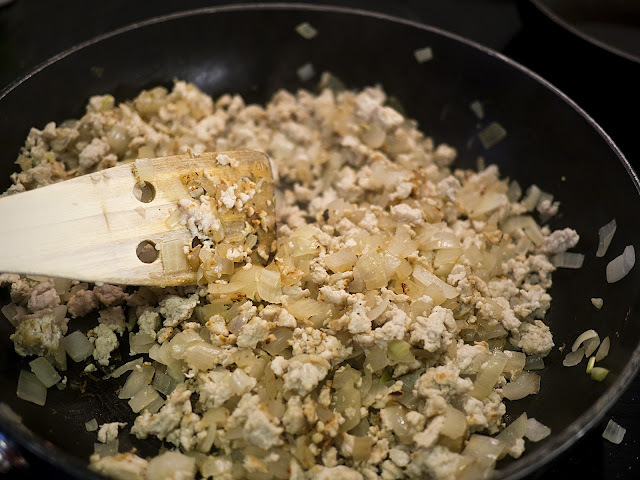 Sauté the onions with the turkey mince, breaking the meat up as you go along. 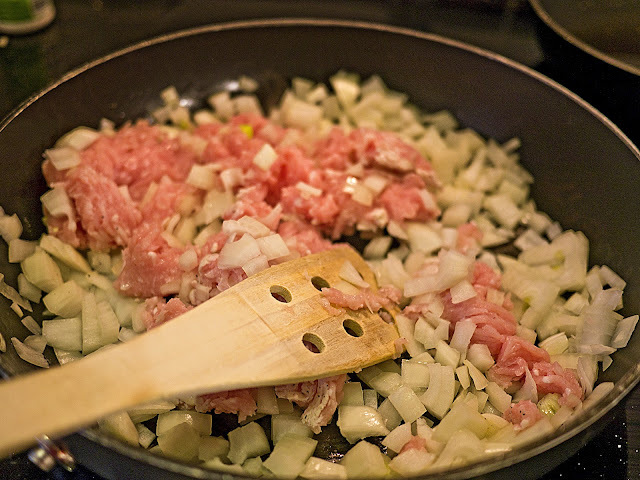 Fry for a few minutes until the meat is slightly browned and the onion soft. 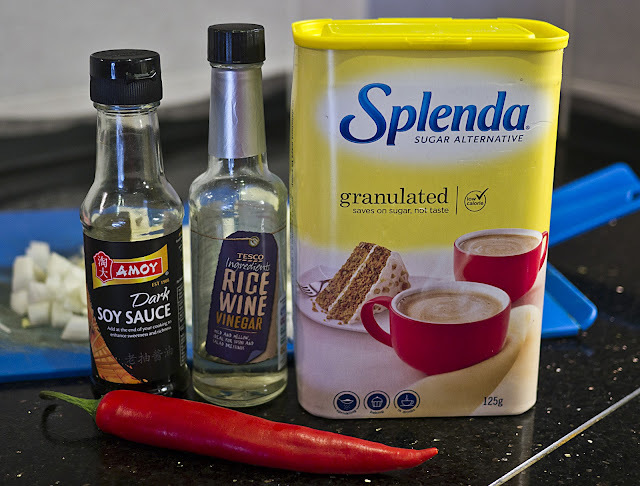 Add the soy sauce, vinegar, sweetener and chilli. Stir well to combine. 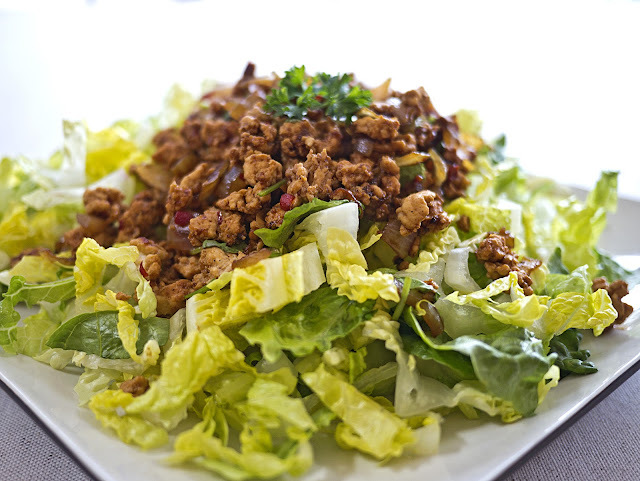 Add the chopped coriander and serve on top of the lettuce.